Gurgaon Police PRO Ravinder Kumar said that the department arrested 24 people for their alleged involvement in violent incidents, and another 14 as part of preventive measures, in eight cases. 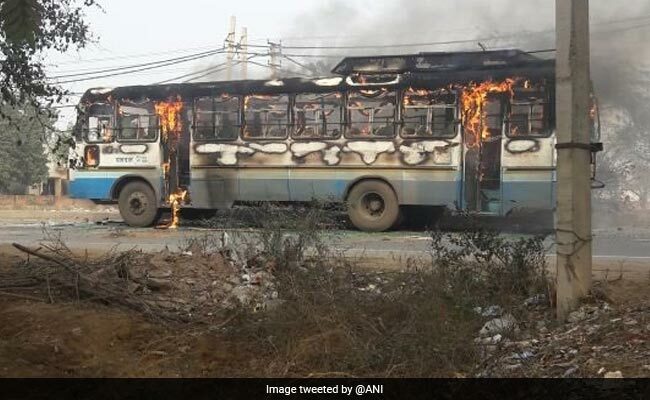 A state-run bus was torched near Bhondsi village by supporters of Karni Sena. Gurgaon: At least 42 people have been arrested or detained in connection with the violence by fringe Rajput groups against the screening of Sanjay Leela Bhansali's controversial film 'Padmaavat' in Gurgaon, police said today. Gurgaon Police PRO Ravinder Kumar told PTI that the department arrested 24 people for their alleged involvement in violent incidents, and another 14 as part of preventive measures, in eight cases. He dismissed social media reports that young Muslim men were detained or arrested, and urged people to not pay attention to rumours, but follow the district administration's guidelines. Mr Kumar said the people arrested have been sent to judicial custody by a court. On Wednesday, a school bus carrying 20-25 students was targeted in Gurgaon and the Delhi-Jaipur national highway was blocked by supporters of Karni Sena, which is at the forefront of the opposition to the film, and other Rajput groups. Another state-run bus was torched near Bhondsi village. The protesters allege that the movie based on the saga of the 13th-century battle between Maharaja Ratan Singh of Mewar and Sultan Alauddin Khilji of Delhi, distorts history and shows Rani Padmavati in "poor light", despite historians being divided on whether the queen actually existed. The filmmakers, too, have denied the allegations. The groups nonetheless had threatened the owners of more than 40 multiplexes and theatres operating in Gurgaon to not screen the film. Fearing trouble in the area, the police had on Tuesday imposed prohibitory orders. But the protesters still rampaged through, forcing residents to initially avoid theatres. Today, the police said the situation was under control. "Best efforts are being made by police teams to identify other miscreants involved in previous violent incidents which occurred in different places in the district," Mr Kumar said. He said a special investigation team, headed by a DCP rank officer, has been formed to probe the incidents. The Special Investigation Team will strive to collect scientific evidences and identify the remaining people involved in the violence, he added. "The situation in Gurgaon is peaceful. Police personnel have been deployed in large numbers at malls, multiplexes and sensitive locations to maintain law and order," Mr Kumar said. The national secretary of Karni Sena, Suraj Pal Amu, was arrested yesterday on charges of breaching peace in the city. 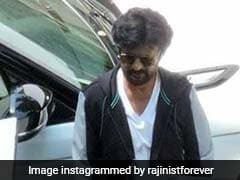 He has been sent into judicial custody until Monday.